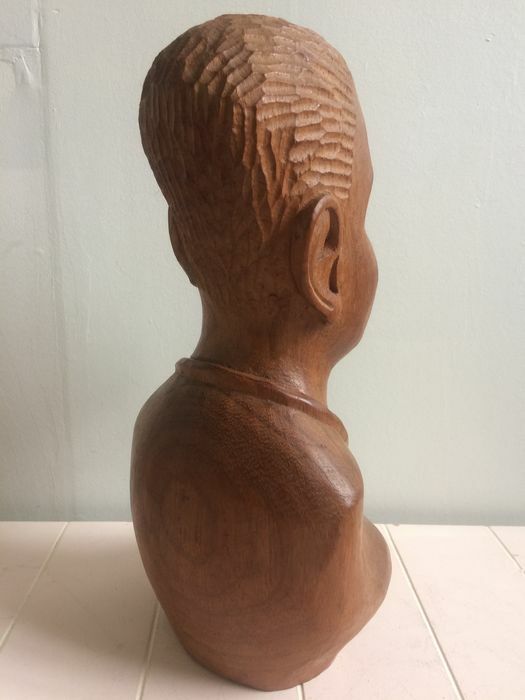 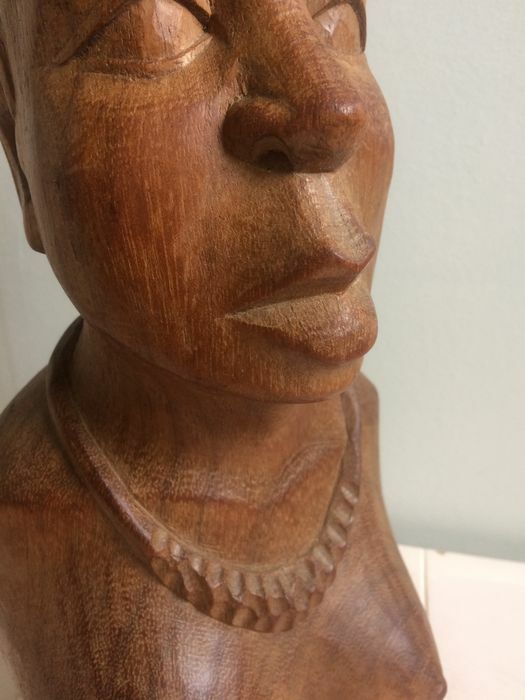 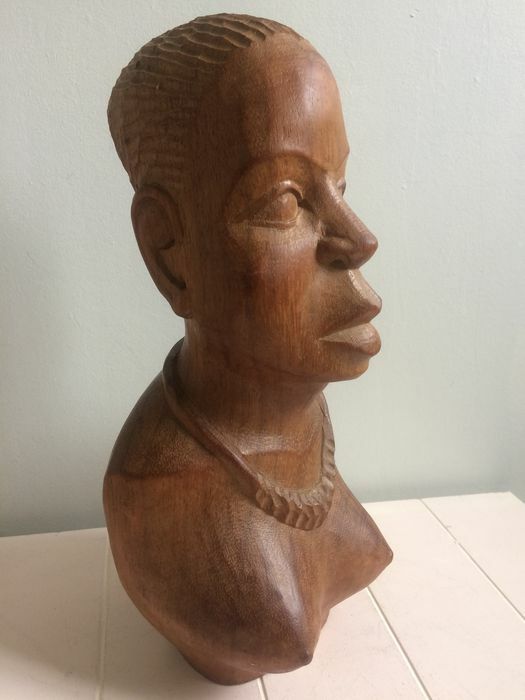 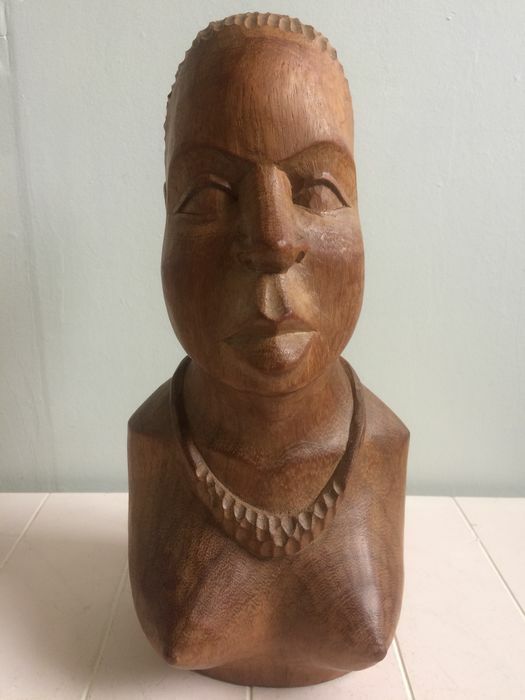 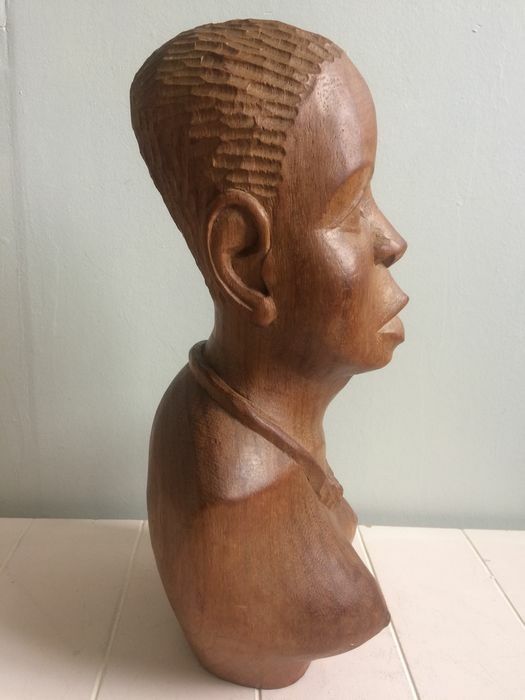 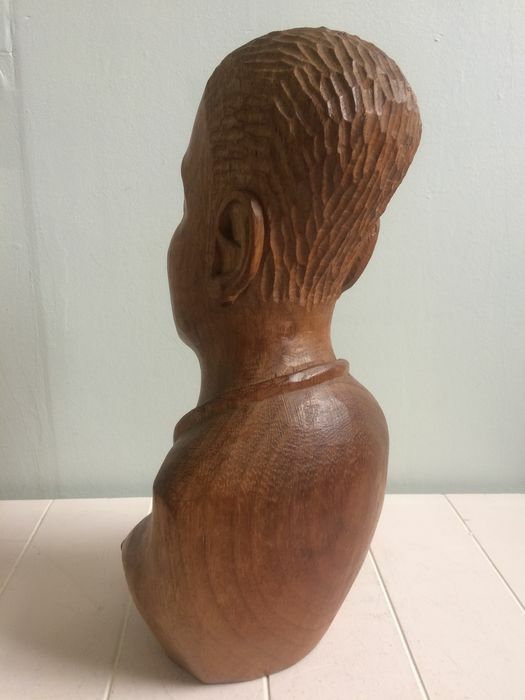 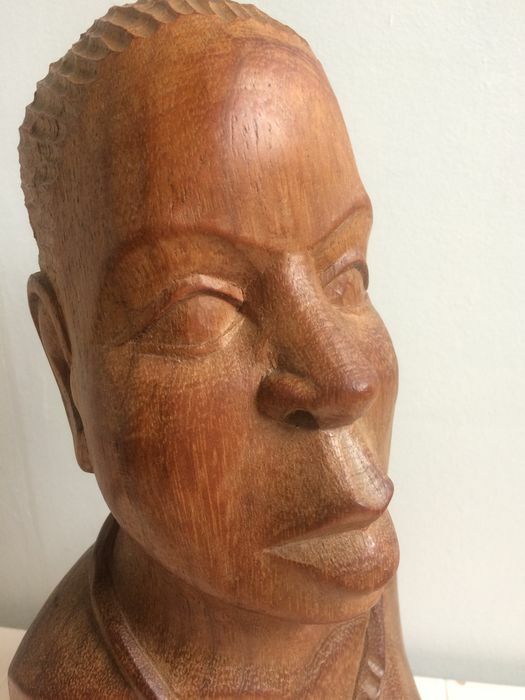 A nice robust and sturdy wooden sculpture, this sculpture of an African woman. 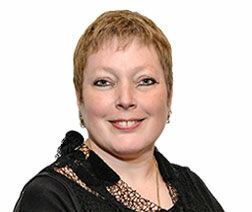 Firm, that is the first thing you experience, robust and strong, short hair, a necklace, a serious look, with a hint of a smile. 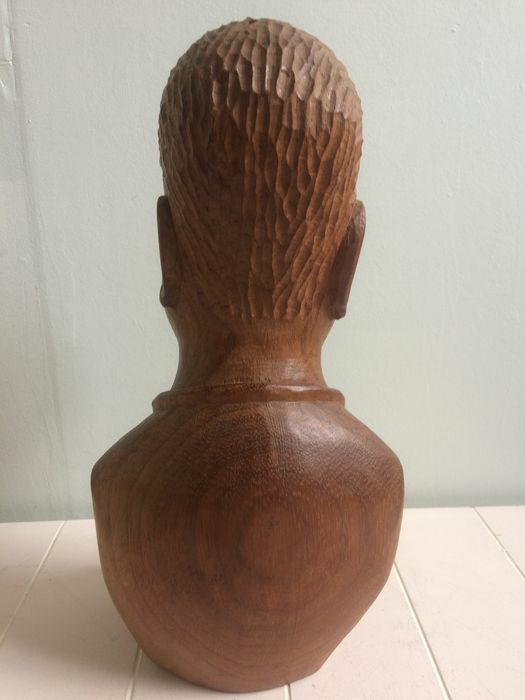 From 1 piece of wood, high 33 cm, wide 16 cm, measured over the clavicles. 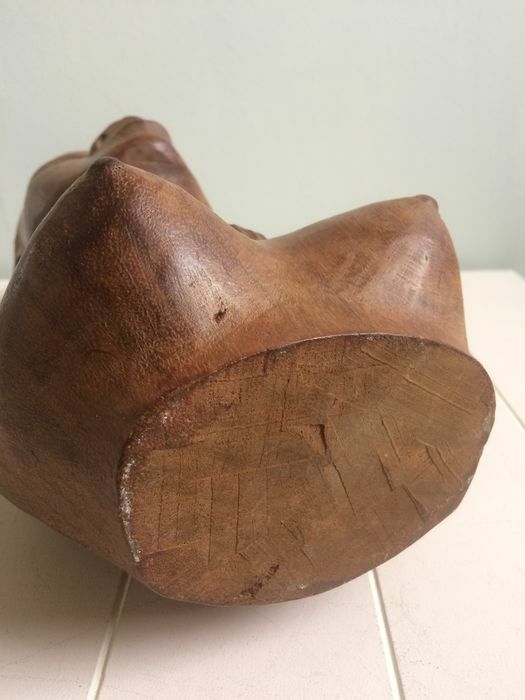 Vous pouvez également retirer ce lot chez le vendeur: Heerhugowaard, Pays-Bas.